I am not sure which sales trainer gets credit for this quote, but it is poignantly applicable to most sales. Forty-three years ago I was in third grade at the Memphis Hebrew Academy selling World’s Finest Chocolate Covered Almonds; at the time my favorite candy. In some ways selling has always come naturally to me. I decided to buy the first box and use it for sampling. I used the same technique Costco uses to move millions of dollars of inventory via their grandma brigade to sell more boxes of those chocolates than anyone in my school. Tasting the candy allowed my prospects to “experience” that chocolate. What do car dealers do? They get you into the car. You slip into the leather seats, adjust them, take in the new car smell and take that bad boy through a predetermined road course, so you can experience different types of driving. An hour later, you’re out the door with a new car. If I can get you to experience what I am selling; the benefits of what I am selling, I increase my closing percentages. And as expensive as it is to generate a lead, you want to make sure you close as many as possible. 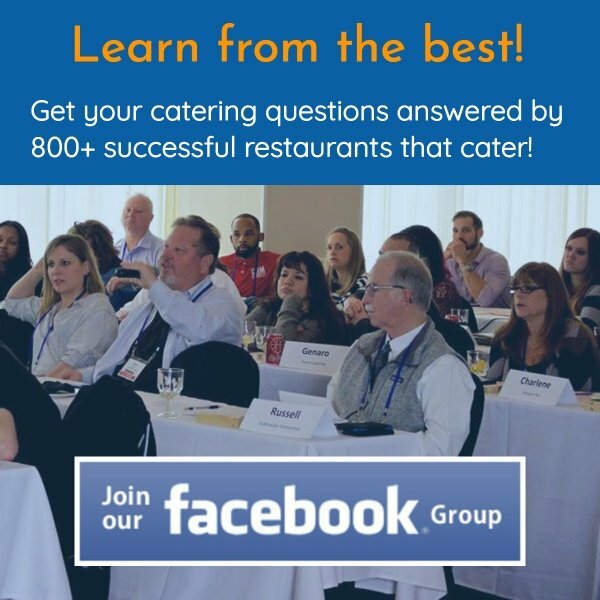 Many of my readers do the basics when it comes to helping catering prospects “experience” their catering service. I am guessing you go out and do tastings/samplings to allow catering prospects to experience what your food is like. Last week I was talking with Mark Rogers of Smoke and Spice and presenter at this year’s Caterpalooza. Mark has been very successful following our marketing and using our Sales Tempo tool in our catering software. The first step, direct mail postcards, yields Mark a 25% response rate; phenomenal for direct mail. Now what Mark shared made me jealous that I didn’t think about it. So Mark gives all of his catering prospects the experience of doing business with him… far beyond tasting food. 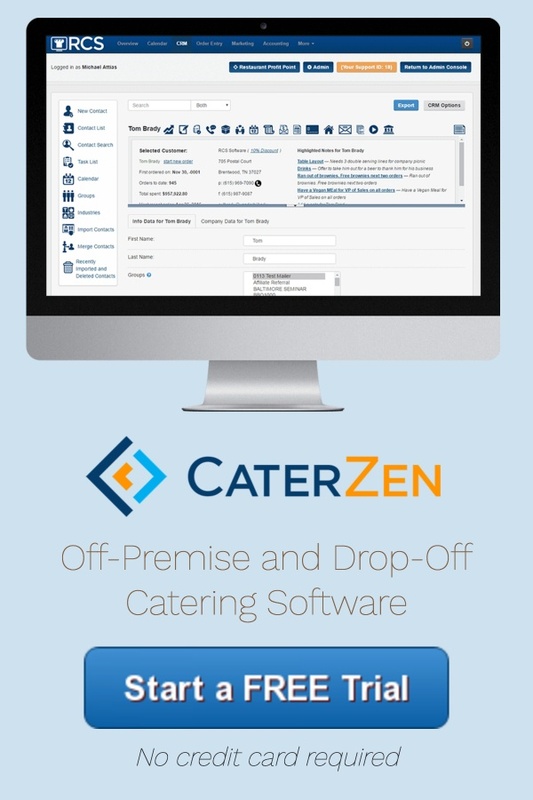 As soon as a prospect agrees to a sample lunch, he creates a catering quote in his Restaurant Catering Systems software. The quote arrives in his prospect’s in box with a zero dollar attached. He then converts that quote into an order for the date and time of his sample luncheon and a confirmation of the order goes to the prospect. 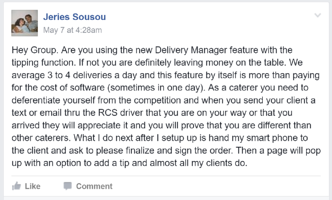 He routes the order with the new Delivery Manager and assigns the delivery to himself. 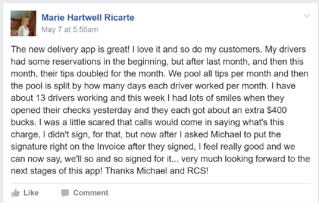 His prospect experiences what it is like to have a catering order delivered from Smoke and Spice: they receive an email with a picture of the driver letting them know that they are on their way and another when they arrive. They get to see the Driver Mobile Interface and sign the ticket on Mark’s smartphone. They even receive a signed copy of the zero-dollar ticket while Mark is there via one button click to send on the interface. It is one thing to tell me how seriously you take showing up on time and customer service, but yet another to put me through the entire catering customer experience. Mark is selling more catering with his catering software. You can too. This is brain-dead simple, yet so powerful. Below are pics I took of unsolicited testimonials for our new Catering Delivery Manager posted in our Facebook Group: Restaurants That Cater.